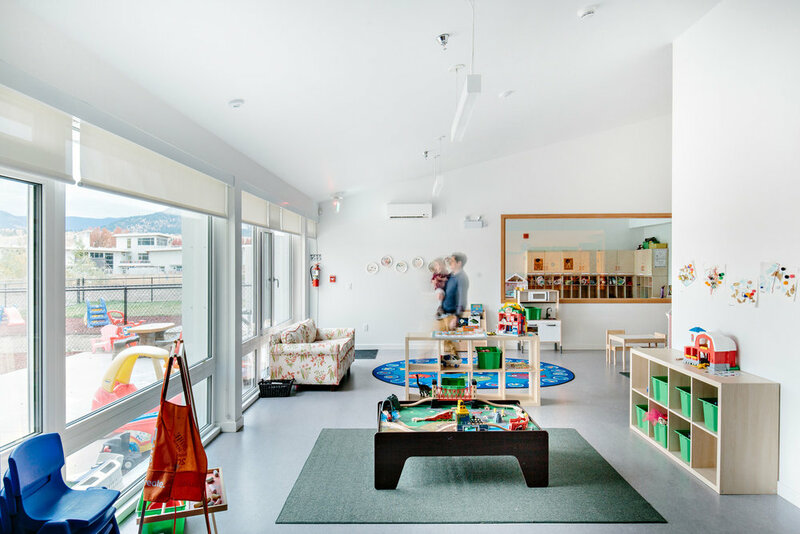 This 4,000 square foot child care facility was designed to minimize energy use, and maximise user comfort. 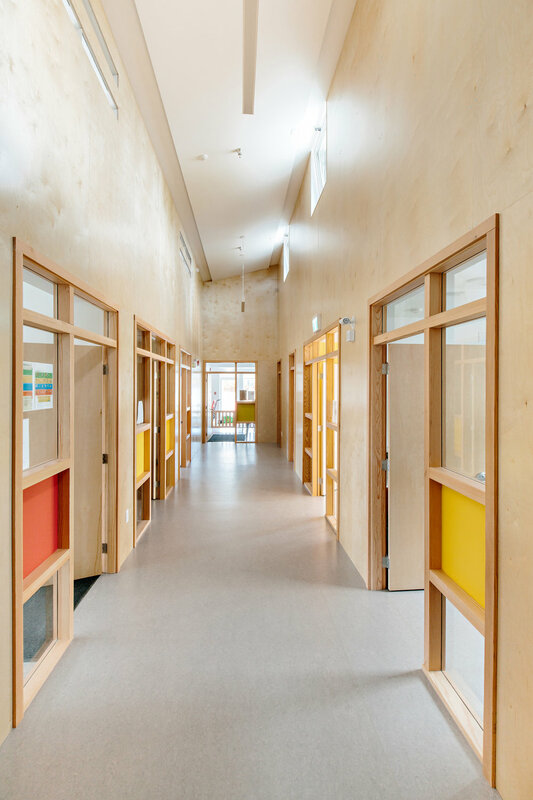 A wood-lined toplit entry hall provides access to all rooms in the building, while allowing natural ventilation through opening windows in the lantern. 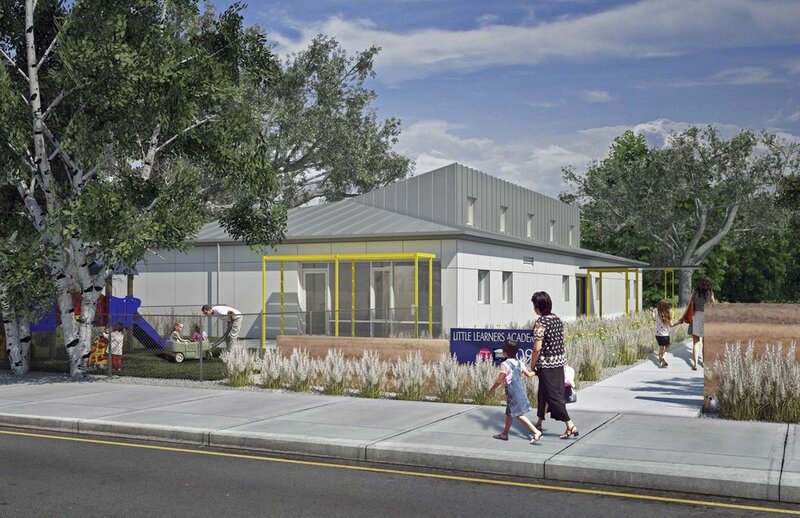 Four childcare rooms open through floor to ceiling glass walls into extensive outdoor play areas. Exterior shading, triple glazed windows, and 20” thick walls maintain a stable interior temperature with minimal inputs of heating and cooling. Super-efficient heat recovery ventilation provides large quantities of fresh air, and earth tubes preheat the domestic hot water. 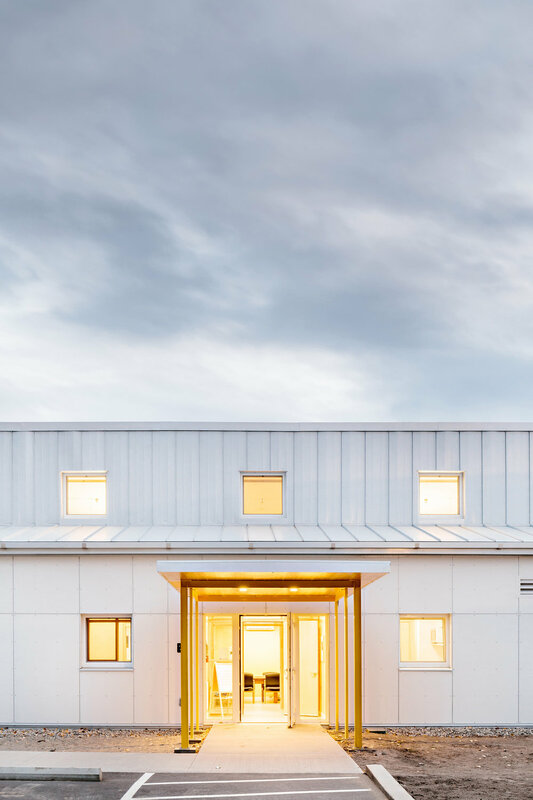 The building is the most airtight ever measured in the Okanagan, and achieved Passive House Certification, but more importantly, it provides a sunny, cheerful, healthy environment for the children in the neighbourhood.